A long time resident of South Central Pennsylvania, Jim works with both buyers and sellers in Mont Alto, Chambersburg, Greencastle, Waynesboro and the surrounding areas. He is currently the Director of Sales for his company EXIT Preferred Realty. 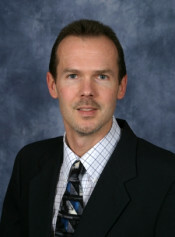 Jim Cramer has over 25 years of personal and professional Real Estate experience. Specializing in First Time Home Buyers in addition to Short Sale / Pre-foreclosure clients. Jim takes a great deal of satisfaction from helping those who thought there was no hope. He believes that education is paramount to exceeding his clients’ expectations. To that end Jim has advanced his Real Estate education earning the GRI, OICP and SFR designations. He currently is on the Education Committee for his local board and is the past Vice Chair and Chairman for that committee. Jim is a licensed Real Estate Instructor and is currently teaching pre-licensing classes to future Realtors®. He has both AS and BS degrees in Management with a concentration in Psychology that has provided a solid foundation on which his Real Estate career has been built. As a former IT Manager Jim understands and uses the latest Internet technologies to Market and find homes at an expert level. He has taken several social media classes and is currently the Web Master for his brokerage. Jim has become the local go to person for social media and Internet Marketing and speaks to fellow Realtors® and groups including local professional associations on topics such as Facebook, Twitter, LinkedIn and Google SEO for their marketing needs. Jim Cramer is a member in good standing of the Pen-Mar Association of Realtors® where he is currently serving on the Board of Directors and is the past Chairman of the Education Committee, Pennsylvania Association of Realtors® (PAR) and the National Association of Realtors® (NAR) in addition to the MRIS and RAYAC Multiple Listing Services. Jim feels that being a Realtor® is about more than joining professional associations, he believes that Realtors® should be involved in the communities where they live and work. He is active in his County and Church communities. Jim has served as an Assistant Scout Master and worked extensively with Habitat for Humanity in addition to serving on the Board of Trustees at his Church for many years. He also understands the stresses and trials associated with being downsized and the relocation process as Jim and his family have experienced this first hand in the past multiple times. He strives to alleviate the concerns associated with relocation for his clients as much as possible. Whether you are buying or selling, be it your first home, your last home, or building your investment portfolio Jim has the knowledge and experience to deliver the exceptional service you deserve. He would like to help you achieve your dreams as he has helped his clients before. www.ExitPreferredRealty.com - Serving Franklin and Adams Counties and South Central Pennsylvania.